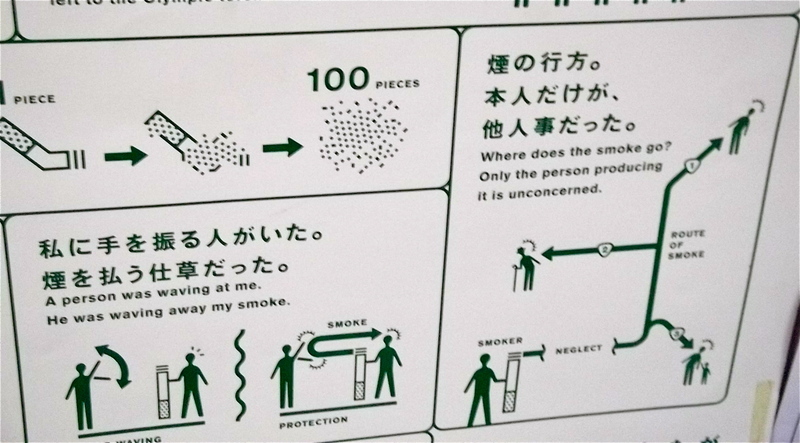 Japan is a country full of smokers and quite lax rules about smoking. For example, you can smoke in every restaurant — even fast food joints like KFC and McDonalds. There are smoking rooms in the stations on open platforms and smoking areas at waiting spots. You can buy cigarettes from vending machines pretty much everywhere. And not those crappy cigarette packs showing premature babies and gum disease, no way man, they don’t believe in that kind of thing. In such a smoker-friendly country, the government doesn’t seem to be launching any vigorous anti-smoking campaigns to get people to quit. 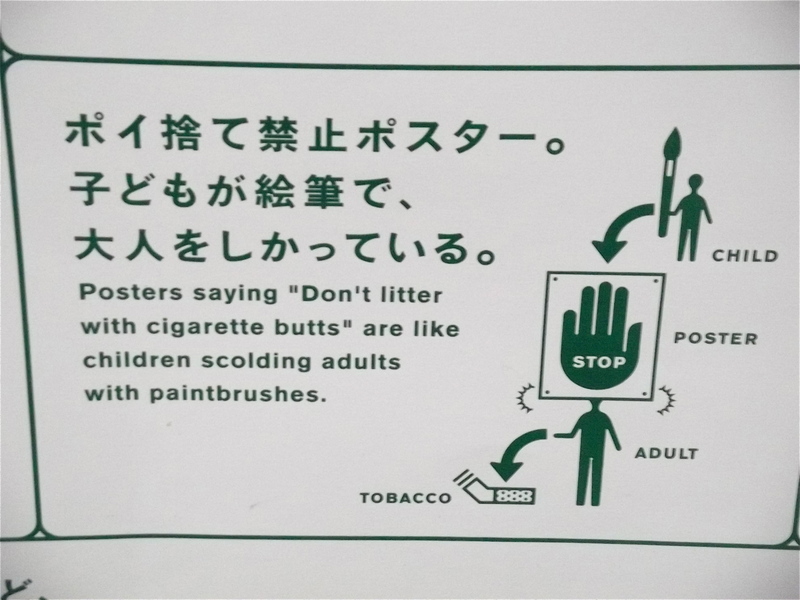 Instead, in true Japanese style, they have a long running campaign to get people to be more polite about smoking! Ahhh! Oh my god! A cigarette being tossed from a car! Terror!! Maybe he was waving at you because he wants a cigarette! Gotta love it, the whole concern about always being polite. Fantastic. 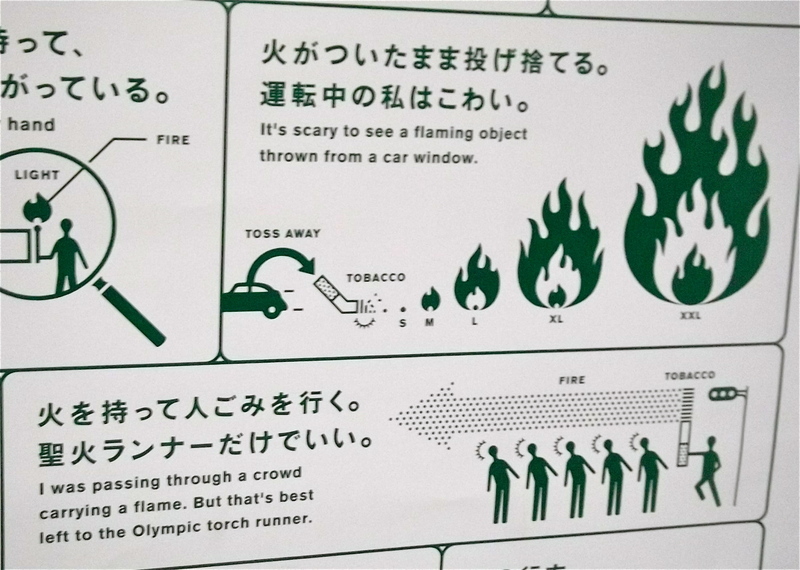 Inexplicable, but well-meaning english is one of the small pleasures of travelling around Japan. 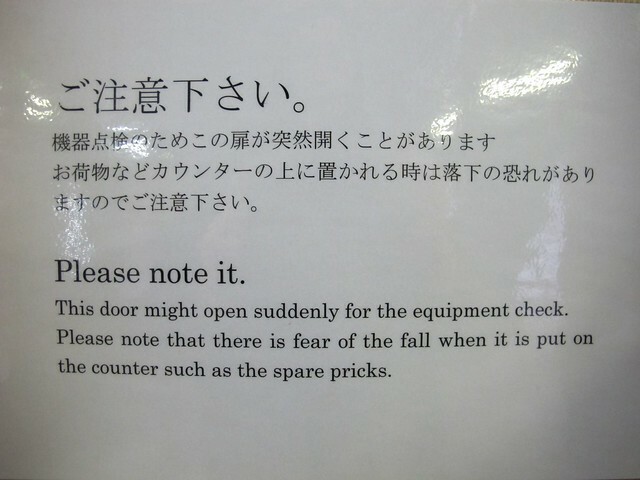 A personal favourite is the sign near the ticket machine in the train station which warns about “spare pricks”.